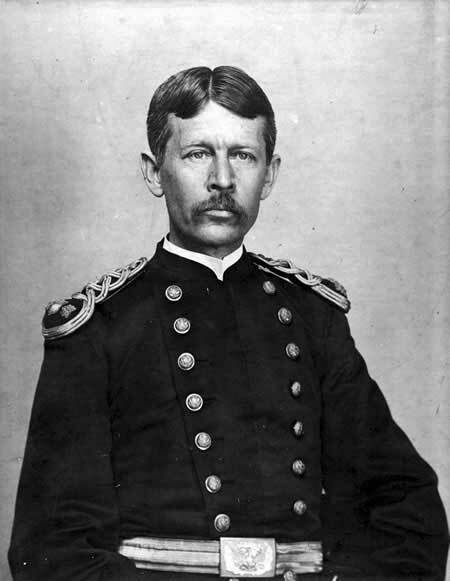 U.S. Army surgeon Major Walter Reed and his discovery of the causes of yellow fever is one of the most important contributions in the field of medicine and human history. During the Spanish-American war, more American soldiers died from yellow fever, malaria, and other diseases than from combat. After the war, the disease continued to ravage both Cubans and the American occupation force, prompting, Army Surgeon General George M. Sternberg to appoint a commission in 1900 to investigate the cause of the disease and how to prevent its occurrence. Known officially as the United States Army Yellow Fever Commission, it was known simply as the Reed Commission for Major Reed, who was the chairman of the four-man body that included three other specialists in infectious disease: James Carroll, Aristides Agramonte, and Jesse W. Lazear, all of whom were contract doctors for the Army. Reed received his medical degree from the University of Virginia in 1869, the youngest student to complete the degree at the university’s medical school to date. He received an additional degree in 1870 at Bellevue Hospital Medical College in New York. Reed’s experience interning in hospitals in New York helped him develop a lifelong interest in public health. He joined the Army Medical Corps in 1875. In a series of experiments, beginning in June 1900, the Reed Commission eventually proved that yellow fever was spread not by poor sanitation, but by female Aedes Aegypti mosquitoes, which carried the virus from person to person with their bites. To confirm their conclusions, the commission disproved the bacterial theory and direct contact as causes for the spreading of the disease by having volunteer soldiers wear soiled clothing that belonged to infected patients over a period of time. While on leave in Washington, Reed tested the mosquito theory, which was hypothesized by Cuban physician Carlos Juan Finlay, by hatching eggs from Finlay’s collection and having them feed on yellow fever patients, and then had them bite several volunteers, including Carroll, who recovered. Lazear was also bitten, though it may have been unintentional. His case was so severe that he died in September 1900. Upon returning to Cuba, Reed set up an experimental camp, Camp Lazear, in the jungle to continue the commission’s work. Reed and his team systematically demonstrated that mosquitoes only picked up the yellow fever virus if they fed on a person during the first three days of infection. After a period of days of incubation, the mosquitoes could then pass on the virus to another human through a bite. As a result of the Reed Commission’s findings, the military governor of Cuba, Major General Leonard Wood authorized the Army’s chief sanitation officer, Major William C. Gorgas to implement an experimental program of inoculations. However, many of the volunteers died, prompting Gorgas to cancel the experiment. The only other solution was to eradicate the mosquitoes in Havana. Gorgas first enclosed yellow fever patients in screens to prevent mosquitoes from feeding and picking up the virus. He then ordered his team to fumigate every building in Havana and identified collections of water where mosquitoes might breed; he had those sources screened or drained, and even spread oil on the surface. As a result of these efforts, cases drastically fell and, by 1902, there were no reported cases. Malaria deaths decreased as well. With Walter Reed’s experiments and Gorgas’s practical application of the Reed commission’s findings, the Army was able to curb and eventually eradicate yellow fever, paving the way for future operations in environments where yellow fever is prevalent. Gorgas was able to implement a similar program during the building of the Panama Canal in 1904, which was crucial to the eventual completion of strategically vital waterway in 1914.